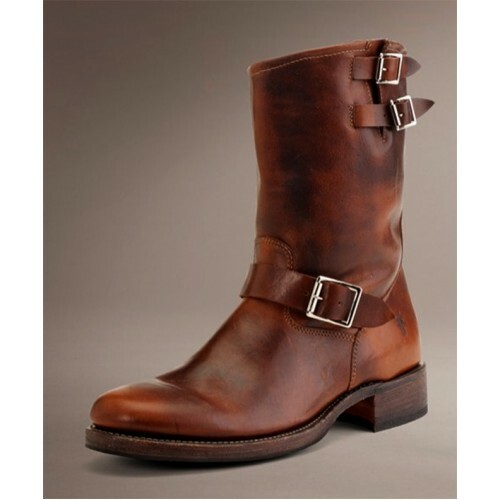 Frye's Tobacco Brown Leather with Double straps and buckles separate this 50's style boot from the Engineering pack. Other than those embellishments, this boot is basic Engineers. Foundry-forged hardware locks down tightly. Rounded toe, sloping collar. Made in the USA.